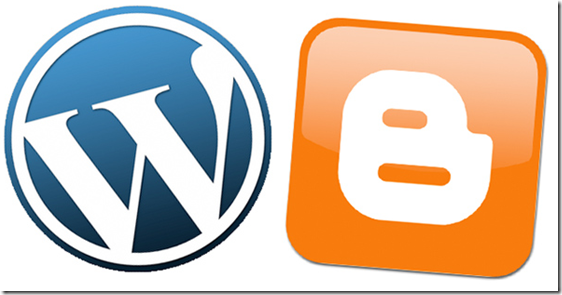 BlogSpot and WordPress both are free blog- publishing platforms where you can create 100+ blogs per account. One of these blog is actually hosted by Google using a sub-domain of BlogSpot.com. This is just for BlogSpot. WordPress is another free platform where you can control multiple blogs from a single dashboard. This is just to give you an idea about WordPress and BlogSpot but keep in mind one thing that these free platforms are for newbies who want to just start writing or blogging at initial stage with no initial investment. In this article we will learn how to create a free blog on BlogSpot and on WordPress without having any technical knowledge. 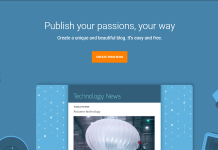 You should have a Google account for login to BlogSpot.com. 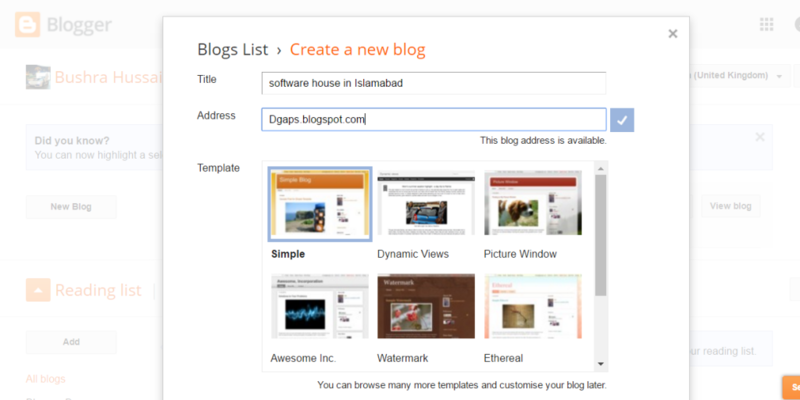 You can use Google Plus identity if you are using BlogSpot first time. After that, you have to select a name or title of your blog and a domain or address. You can customize this address later. For domain or address, you have to select a unique name for domain. Don’t use generic names e.g. MyBlog. Then press on “Create blog”. Congrats!! You’ve created your first blog on BlogSpot.com but this is not completed yet. You’ve to set little things. You are now on the dashboard of BlogSpot. Now go to Post -> create new post and start writing your first blog content here. Before publishing this blog, create at least one page of About US which describes who you are and what’s this blog all about. There are six steps for making a free blog on WordPress. Now 2nd step is based on design of your blog site which is “What would you like your homepage to look like?”. I want to post my articles on this site that’s why I’m choosing “A list of my latest post” design. Now you’ve to select a domain name for your blog site. You have to be very careful about domain name. It should be relevant to your main idea I mean if I’m choosing technology, my domain should be relevant to it. I’ve selected techworld which is not available. techworld85.wordpress.com is very close to my selected name so I’m taking it as my domain. You’ve to select a plan at this stage. As I want to use their free service, so I’m picking free package. In the end, enter you Email and Password and press on create my account button. So you are done with making a new blog site on WordPress. You are now on the dashboard of WordPress. Post your first blog by clicking on “Add” button in front of Blog posts and start writing your article on most popular platform WordPress. Now my blogs on both platforms are ready. This is how you can write your other posts. This post is for beginners looking for an easy and useful method to start free blog on BlogSpot and WordPress. I hope, I’ve made everything clear. If you have any questions please do not hesitate to ask us, comment box is always open for our readers.